Hello all! I haven’t disappeared, just busy working, knitting and living life. 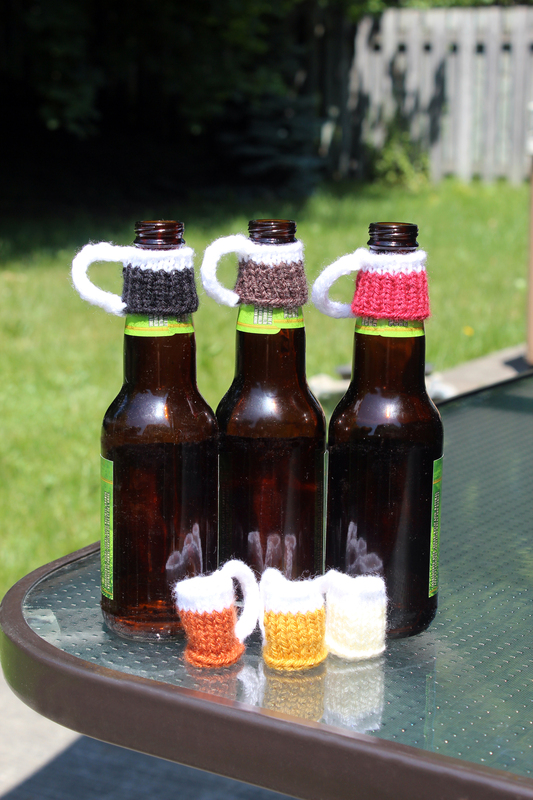 Recently between my husband and I we came up with this brain child – beer charms. I’m selling these on my Facebook shop here. And I will make the pattern available for sale soon. Happy New Year and a late Merry Christmas!